Sony/ATV chairman and CEO Martin Bandier, right, with songwriter, guitarist and producer Nile Rodgers on June 9, 2016 in New York. Sony announced late Monday that it plans to acquire most of EMI Music Publishing, a deal that would give what is already the world's largest music publishing company control of more than 2.3 million compositions. The deal with the Abu Dhabi-based Mubadala Investment Company, which currently owns 60 percent of EMI Music Publishing, will require regulatory approval. If it is completed, Sony Corporation of America would control of 90 percent of the publishing company, with the Michael Jackson estate retaining its 10 percent minority stake. Mubadala was first reported to be shopping its equity in the company this past March. In its announcement, Sony puts the value of EMI Music Publishing at $4.75 billion; the agreement will have Sony assuming almost $1.4 billion in debt held by the publishing company. It will bring the number of music compositions — which are legally separate from recordings — under Sony's control to "over 2.3 million," the company writes, including works from The Beatles, Kanye West and Carole King. For the past six years, the 90 percent of EMI Music Publishing that could soon be wholly under Sony's control has been administered on Mubadala's behalf by Sony/ATV, the company's subsidiary music publishing division. The deal adheres to the strategy Sony announced yesterday in a separate announcement, in which it said it would be focusing on intellectual music properties for the near future. Music is the company's second-largest source of revenue, behind gaming. This deal won't make Sony Corp. the largest music publishing company in the world — it is already, thanks to its market-share-leading subsidiary Sony/ATV and the 30 percent stake it already holds in EMI Music Publishing. 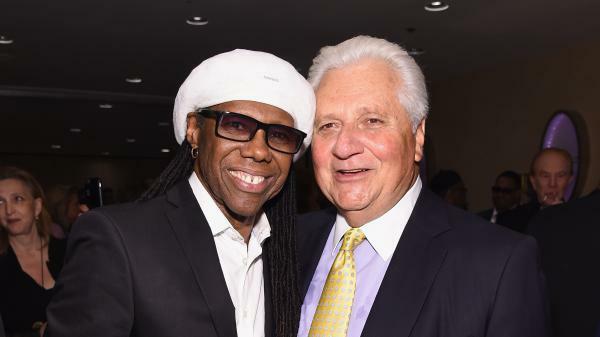 In an interview this week, Sony/ATV chairman Martin Bandier told the Los Angeles Times his company had just experienced "the best financial year we ever had. ... We're in a real growth period, and I'm excited." Part of the reason for that growth is a recent regulatory update to the rates paid to music publishing companies by streaming services. In response to the announcement, Helen Smith, chair of the independent European music organization IMPALA, writes that the deal is "a step too far" and would give Sony "excessive bargaining power when negotiating with collecting societies and the authors they represent, as well as other actors in the value chains such as labels and online services." The deal has its roots in the $4.73 billion acquisition of EMI by the private equity firm Terra Firma in August 2007. That previous deal, which came as the Great Recession was building and the music industry's revenues were cratering, proved disastrous — and eventually resulted in EMI being seized from Terra Firma by Citigroup, which had financed the acquisition. After taking control of EMI in 2011, Citigroup subsequently sold the former major label off in pieces, resulting in EMI Music Publishing being purchased by a consortium of investors in 2012. A similar situation from around the same time resulted in the recent bankruptcy of radio giant iHeartMedia.